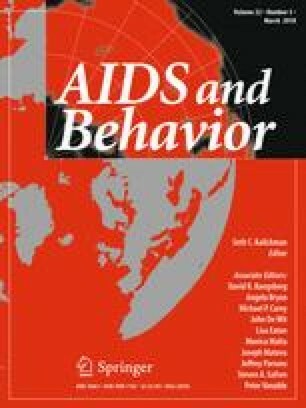 Improving AIDS Care after Trauma (ImpACT), a coping intervention for HIV-infected women with sexual abuse histories, was evaluated for feasibility and potential efficacy in a public clinic in Cape Town, South Africa. Sixty-four participants were enrolled prior to starting antiretroviral therapy (ART). After completing baseline assessments, participants were randomly assigned to standard of care (SoC: three adherence counseling sessions) or ImpACT (SoC plus four individual and three group sessions). Participants completed assessments at 3 months (after individual sessions) and 6 months post-baseline. In exploratory analysis of primary outcomes, ImpACT participants, compared to SoC, reported greater reductions in avoidance and arousal symptoms of PTSD and greater increases in ART adherence motivation at 3 months. Clinically significant decreases in overall PTSD symptoms were also demonstrated at 3 months. These effects continued as trends at the 6-month assessment, in addition to increases in social/spiritual coping. In analysis of secondary outcomes, high levels of non-adherence to ART and poor care engagement were evident at 6 months, with no differences between study arms. A trauma-focused, culturally-adapted individual intervention delivered by a non-specialist in the HIV care setting is feasible and acceptable. Preliminary findings suggest ImpACT has potential to reduce PTSD symptoms and increase ART adherence motivation, but a more intensive intervention may be needed to improve and maintain care engagement among this population. Trial Registration: ClinicalTrials.gov NCT02223390. This study was funded by a Grant from NIMH (R34 MH102001). We also acknowledge support received from the Duke Center for AIDS Research (P30 AI064518), and the Duke Interdisciplinary Research Training Program in AIDS (T32 AI007392). We gratefully acknowledge the participants who contributed time and energy to this study. All procedures performed in studies involving human participants were in accordance with the ethical standards of the institutional and/or national research committee and with the 1964 Helsinki declaration and its later amendments or comparable ethical standards. (Duke C0147, UCT 071/2014). Weathers FW, Litz BT, Keane TM, Palmieri PA, Marx BP, Schnurr PP. The PTSD Checklist for DSM-5 (PCL-5) 2013 (Scale available from the National Center for PTSD at www.ptsd.va.gov).